I’m struggling just a little to give up the dreaded weed (okay, I’m struggling a lot). Most of the time I bear my cross with the help of nicotine patches as my tobacco crutches. But, an evening on the Devil’s brew at the local ale house invariably sees me falling off the wagon: a relapse is odds on favourite every time. It’s another bad habit I must try harder to break (along with liver-dissolving binge drinking, artery-hardening titbits and talking to myself). A word of warning to other patch addicts. Don’t wear the bloody things in bed if you want to wake up calmed and rested. Last time I left a patch slapped on my arm, I tossed all night like a tart with crabs and had crazy dreams in vivid Fifties Technicolor. 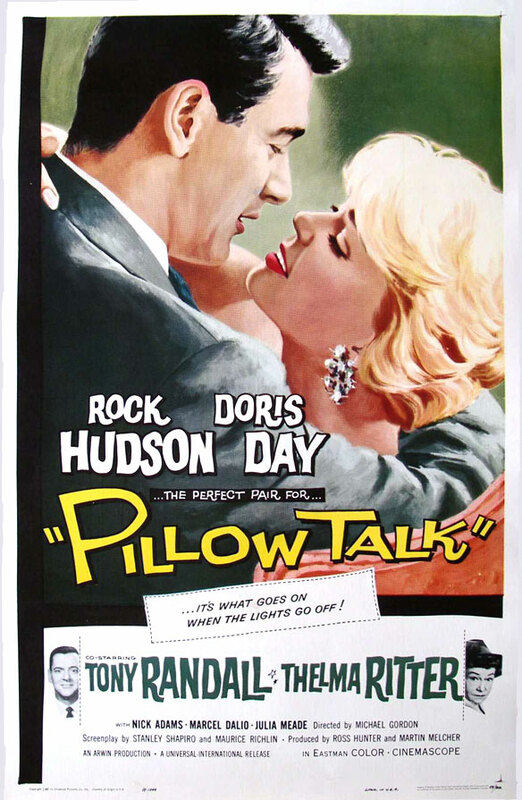 I wager few people these days dream of sleeping with Doris Day. Nothing smutty, you understand; after all, the virtuous Miss Day shared a cinematic bed with Rock (leather queen) Hudson. The minute I woke up, I panicked that the sheets weren’t fresh enough for the Febreze-fragrant star of the CinemaScope screen. It’s enough to drive a restless boy into the arms of a shrink. You might also like To Sleep Perchance to Dream. . . snap out of it Jack and get a bloody grip! And I second that emotion. I didn’t know that about the patch. I tried many, many times to quit (before anyone dreamed of patches) and finally managed about 20 years ago. Have you tried acupuncture? That worked for me. Good luck, Jack. Well done to you. I may try the pins in the end! Lawks! The unexpected and unwanted side effects of nicotine patches! How on earth did you drag the wholesome Doris into it? Poor you! Seriously, you can do it Jack. I’m not an advocate of the patch, because to my way of thinking it’s just like smoking, without the physical habit of raising hand to mouth. One of the things that helped me quit was refusing to let the tobacco industry win. It worked, too–that, plus eating lots of liquorice.